Hey, look at this. First We Feast got Alex Stupak, Wylie Dufresne, Michael Anthony, and Seamus Mullen to take part in a nacho battle with DJ Dieselboy (a.k.a. friend of Grub Street Damian Higgins). 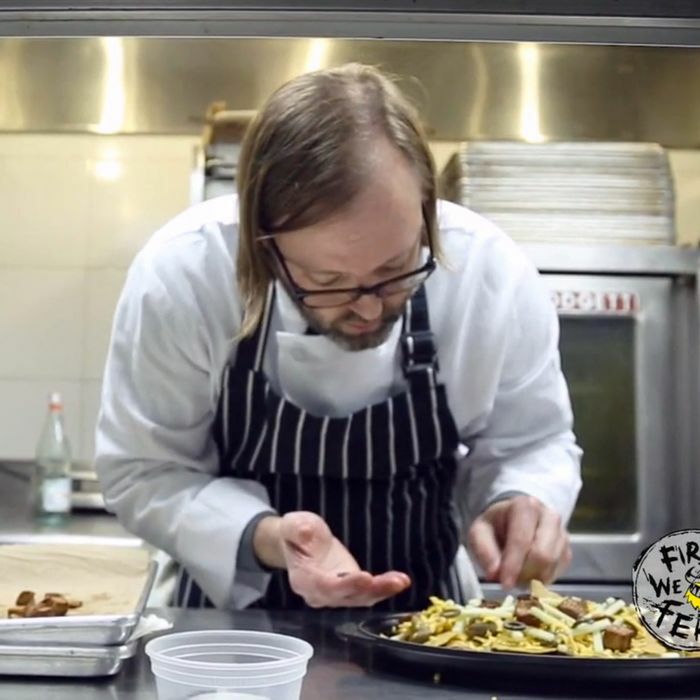 Watch as Mullen turns flaxseed into tortillas, Higgins holds his own against the chefs, and Dufresne coins the term foiechos. Extra points for the music during the judging segments, which is just spot-on. Watch the vid below, or if you’d rather just read a recap, head to FWF.